Athena WIN Girls Night Out, Holiday Entertaining at the University Club! A wonderful evening at the U-Club for a Holiday Entertaining Class featuring Executive Chef John Findley, Bartender Brandon Lee, Pastry Chef Katie Chapman and Decorator Amie Dutter. This four part class on Holiday Entertaining, included presentations on how to make three holiday appetizers, two specialty cocktails, and two desserts, with some simple decorating ideas and tips. 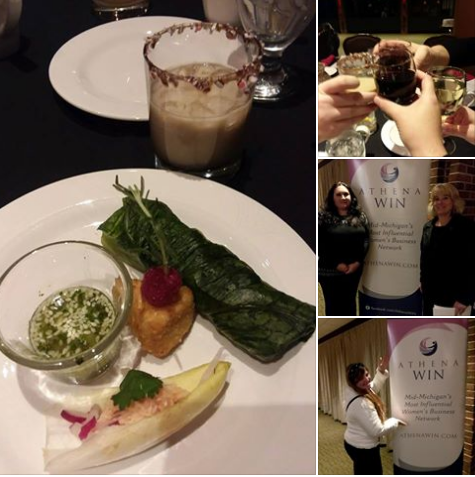 What a great time, check out Athena WIN and the U-Club for other events and information!! Trouble Balancing Your Personal & Professional Life? MILLENNIALS DO NOT HAVE COOTIES!